Aikido is a defensive martial art that uses circular movements to move out of the way of an attack. The basic principles are beautiful: never clash with your opponent’s strength, move with and around the oncoming force of the attack and reverse it back on the opponent. 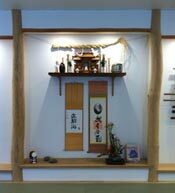 Aikido is elegant in its movements and powerful in its applications. The techniques are based on using natural movements and stances. Most techniques are in the form of locks, pins and throws. The principle of Aikido in its physical form is to be able to neutralize your opponents’ attack without causing harm to the attacker. 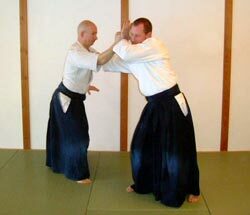 Aikido is, never the less, created as a Budo, a martial art, and its techniques can also be applied with devastating effect if necessary. But the Aikido practitioner strives to obtain the level of control that enables the attack to be thwarted without causing harm to the attacker.